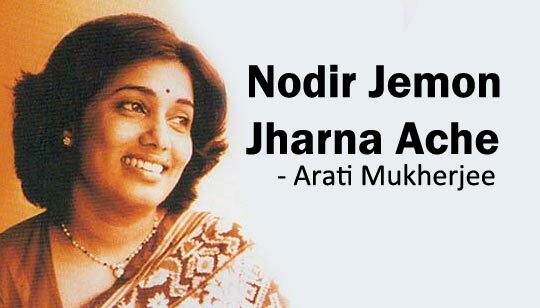 Nodir Jemon Jharna Ache lyrics In Bengali. The song is sung by Arati Mukherjee from Chhutir Phand Bangla Movie. Nadir Jemon Jhorna Ache Song Lyrics written by Pulak Banerjee. Featuring: Soumitra Chatterjee And Aparna Sen.
আমার আছো তুমি শুধু তুমি..